The TSC BP-2000 is a rechargeable Ni-MH battery pack, which allows users of TSC desktop printer to drive their printing system wherever they want, independent from external power, specially used on collecting-trolleys and forklift trucks and in combination with our stand-alone keyboards. Charge up to 4 Li-ion batteries simultaneously, saving hassle and space. Recharge batteries and connect with host for data transmission via RS-232 or USB interface. Synchronize data remotely without a direct connection to a desktop PC using 10/100Base-T interface with LED indicators. Also recharges the mobile computer battery and connects with host/desktop for data transmission via RS-232 or USB interface. Recharge up to 4 Li-ion battery packs simultaneously. Sturdy holster with pocket for spare battery and stylus attaches to belt. Recharge mobile computer battery and a spare battery at the same time while transmitting/receiving data via RS-232 or USB cable. Connect to a LAN via a 10/100 mbps Ethernet connection and recharge the mobile computer battery and a spare battery pack at the same time. Intuitive, ergonomic trigger-and-scan operation makes scan-intensive applications easier and more comfortable. Clear window lets you operate device in severe conditions. Adjustable shoulder strap. Snap-on Travel Cradles recharges batteries through an AC power adapter and provide communication interface via a serial port RS-232 or USB client port. Provides power and convenience while recharging the batteries of your mobile computer. This Vehicle Cradles also provides communication interface through a serial port RS-232. The protectivecover lets you operate device in severe conditions. Adjustable shoulder strap. Recharges up to 4 Li-ion battery packs simultaneously. Sturdy holster with pocket and spare battery. Belt holster also comes with stylus attached to belt. Snap-on Travel Cradle recharges batteries through an AC power adapter and provides communication interface via an USB client port. Clear window allows operation of device in severe weather conditions. Protective cover also comes with an adjustable shoulder strap. The plug and play Hi-speed USB Ethernet Adapter allows you to get true 10/100 network access. Communication interface with a USB type A plug and a RJ45 port. The Cipherlab 1000 CCD is a complete unit that comes with cable. Convenient wall or desk scanner mount protects and keeps scanner handy. Wall Mount/Desk Stand comes with scanner. Smart, new three-way scanner stand is easy, adjustable, and good-looking. It works on the wall, on the desktop, or for auto-sense scanning in the workplace. The KP-200 keyboard is used to retrieve forms stored in the printer and to enter variable data prior to printing your labels. Simply create your label formats using the BarTender labeling software that ships with your printer and store them to the printer. The TSC KU-007 Plus Programmable Keyboard is the easiest way to build a stand-alone printing system and works as a small portable PC to save valuable working space. The Cipherlab 1070 CCD is a complete unit that comes with cable. The charging and communication cradle also has antimicrobial treatment to reduce bacteria on the surface and disinfectant housing to withstand repeated cleaning with alcohol. The smart, new three-way scanner stand is easy, adjustable, and good-looking. It works on the wall, on the desktop, or for auto-sense scanning in the workplace. The CRD3301 charging and communication cradle used with OPR3301 (laser) and OPI3301 (imager). The stand has antimicrobial treatment to reduce bacteria on the surface and disinfectant housing to withstand repeated cleaning with alcohol. 2D Industrial Rubber + Polycarbonate cover for Linea Pro—maximum protection. Lightweight case to protect iPad/Infinea combo. Can be modified with different grips and mounting options. 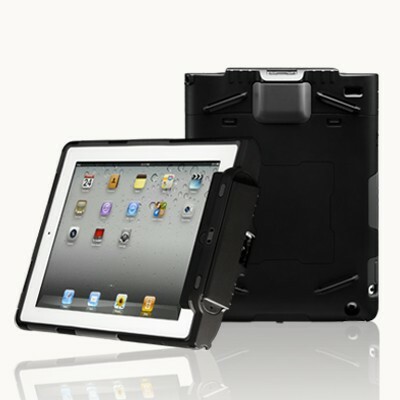 Heavyweight rugged case to protect iPad/Infinea combo. Can be modified with different grips and mounting options. Desktop stand to hold iPad/Infinea combo. iPad/Infinea combo can be removed for handheld operation. Desktop stand to hold iPad/Infinea combo. iPad/Infinea is secured to the stand. 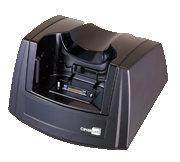 Ergonomic trigger-and-scan design makes scan-intensive applications easier and more comfortable. Applicable Model: 8600 series. Sturdy holster attaches device with pistol grip to belt. Hot-swappable battery charger for Infinea X. Designed specifically for either the regular battery or the extended power battery. Equipped with smart LED indicator lights. The charging cradle supports charging the device or spare battery. The protective boot upgrades the RS30 to 1.5m drop resistance and 500 tumbles at 0.5m. Recharge the RS30 via USB snap-on cable. Recharge the RS30 while transmitting/receiving data via micro USB cable.